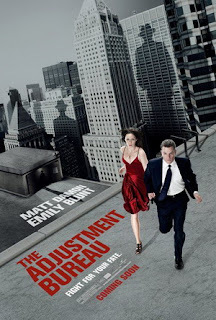 Verdict: Can’t quite understand why many people assume that this is a Inception rip-off before it was released. Could be because of the cool posters. By the way, it’s nothing like Inception at all. I enjoyed the concept and the plot but the dialogues and some of the scenes were quite predictable, especially the ending. In overall, it’s a great film. It’d inspire people to not believe in fate and just never give up on what you love until the end. If you see a stranger with a hat around you, punch him! He’s the reason why you don’t have a girlfriend!